During my second spring of birdwatching, in 1976, I searched wetlands all around East Lansing, Michigan, trying to see as many kinds of waterfowl as possible. I was thrilled to add Snow Geese and Blue Geese to my lifelist. 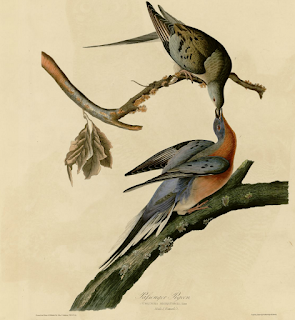 Then in 1983, the American Ornithologists’ Union snatched one of those species right off my list, deciding that the white and blue forms of these birds were subspecies of a single species. Because the white form was named first, they kept that name for the whole species, even though some Snow Geese were blue. Geese are clannish birds, and young usually choose their mates within the large circle of distant relatives and acquaintances that their family hangs out with during fall and winter. This leads to limited breeding isolation, causing the many subspecies found in some goose species. But because different circles of geese do descend on the same wetlands in fall and winter, some young geese do choose their mates from other groups and breed successfully, so the groups aren’t genetically isolated enough to be considered separate species. For being so abundant, Snow Geese keep a lot of secrets from ornithologists. The blue-type birds have a much more restricted breeding range than the white-type, and nesting colonies of the blue-morphs were not discovered until less than 90 years ago, in 1929, after a direct and intentional search that lasted 6 years and covered over 30,000 miles. Right now, numbers of Snow Geese are surging, and a lot of wildlife managers are in panic mode, crying “overpopulation,” and that they’re destroying the tundra. I’ve read a lot about this, and keep hearing that these high numbers are “unprecedented,” but there is plenty of evidence to the contrary. One of my friends on the national Bird Chat listserv, Barry Kent MacKay, this year’s featured artist for the Smithsonian’s International Migratory Bird Day and the Canadian representative of Born Free USA, a wildlife organization, notes that there were records of huge numbers of Snow Geese in the late nineteenth and early twentieth century. Obviously, this was before aerial surveys, so all the accounts by researchers earlier than the past few decades are dismissed as anecdotal, but that discounts a lot of professional eyewitness data to the contrary, and also discounts the huge toll on game birds made by unregulated hunting, for market and for sport, in the 19th and early 20th century. Birds of many species were barely recovering from that when I started birding, and no wildlife managers living today have any memory of how many birds there were before the slaughter. Wildlife managers are right that tundra habitat is in jeopardy, right when goose numbers are peaking, but that hardly implies a cause-and-effect relationship. Barry Kent MacKay notes that the critical problems facing the tundra stem from global climate change leading to the loss of permafrost, and from the oil and mining industries, and points out that the human, not goose, population explosion is the root of the real problems facing the tundra. Canada Goose numbers have increased due to adaptations individuals have made to urban and suburban habitats, opening up a whole new set of habitats that they can exploit successfully. There is no evidence that Snow Geese are exploiting new habitats, and frankly, very little evidence that their high numbers right now are greater than their numbers before they were overhunted. I’m thrilled that they’re rebounding, and hope that in a world where so many birds are declining, Snow Geese can stay abundant. Here in southern Ontario birders tend to report their Ross's Goose sightings. But if the federal government has its way, that will stop. Canada wants to kill off as many as 9 out of every 10 Ross's Geese. At best I hold wildlife managers in low esteem but this is a new level of absurdity even for them. In 1999 the federal governments of both the U.S.and Canada amended regulations to let them kill huge numbers of migratory waterfowl species deemed "overabundant" as defined by the North American Waterfowl Management Plan (NAWMP). The U.S. was able to include the Ross's Goose, but we successfully challenged Canada, and here the courts ruled that "overabundance", as defined under NAWMP, had not been demonstrated by the Canadian Wildlife Service (CWS) for Ross's Goose. It still hasn't, but no matter; the idea is now to PREVENT those pesky Ross's Geese from becoming overabundant. And while we don't know how many there are (they have an annoying habit of looking like Snow Geese when being counted from the air) the estimate is up to a million, and growing. The objective is to reduce the number to 100,000. That's up to a 90 percent reduction in a native bird species, in the name of, get this, "conservation". NAWMP's goal is "Abundant and resilient waterfowl populations to support hunting and other uses without imperiling habitat." The kicker is in those last three words, although I think the first part fuels motive. Waterfowl hunting is in decline, and therefore so is licensing revenue that pays wildlife managers salaries and keeps them employed. But the "imperiling" comes, as it does from Snow Geese, from the fact that these birds "grub", meaning they dig with blunt beaks for the roots and rhizomes of arctic plants, creating mudflats. They've been doing this since the glaciers freed the land, and long ere that in other regions - tens of thousands of years - but now it's wrong. I confess that when NAWMP first set population goals I assumed that they were for minimum populations, not that they didn't want populations to increase beyond the goals they set; that there had to be the number they decided on, not less, but not more, either. Their argument is the increase is of concern by "imperiling habitat". And so they decided how many of each population of Snow Goose there should be, and "managed" to achieve that goal. For example, for the "greater" Snow Goose, which nests in the eastern arctic and winters along the Atlantic coast, the goal was 500,000 birds. Oops. Didn't work. They figure there are about 923,800. For the mid-continent population of "lesser" Snows the goal was 1,500.000. Oops.the real number is estimated to be 2,628,400. For the western central flyaway the goal was 110,000, but the estimate is for 170,300. For the Wrangle Island Snows they are only about 20,000 birds over their objective, but for the Snows nesting in the western Arctic the goal was 200,00, instead of the current 608,000. In business that would all be considered a spectacular failure and abandoned, but for government the plan is to take something that doesn't work and apply it to the Ross's Goose. Kill nine for every ten. Three: the arctic is unchanging. None is true, a fact that is, well, ignored. Of particular value to the pro-cull argument is the idea that these birds are out of control. This is easily proved by ignoring all evidence to the contrary. When I pointed this out regarding Snow Geese years ago I was told that yeah, okay, there were records of huge numbers of Snow Geese in the late nineteenth and even early twentieth century, but they were anecdotal, thus don't count. Of course they were anecdotal; the means to make more objective counts using aircraft flying in grids and analyzing photographs didn't exist. That should not negate them, but in the small minds of wildlife managers, it doesn't count. I believe their panic derives from remembering arctic habitat as they first saw it as students, when the "white geese" were at their lowest numbers. 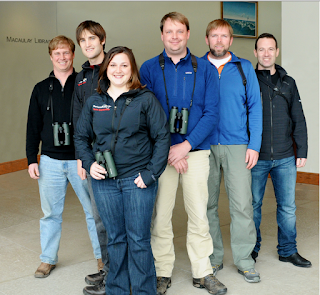 The fact is the arctic was largely unknown up to and even after 1938, when the nest of the Ross's Goose was finally discovered (it's amazing to realize that I shook the hand of the man who discovered the nest of the subarctic-breeding Harris's Sparrow, in Churchill!). 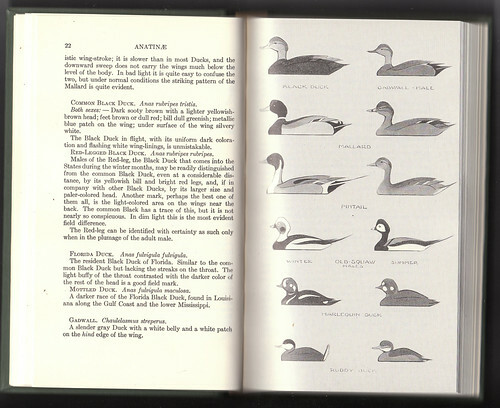 About all that Arthur Cleveland Bent could say about the population of Ross's Goose in his "Life Histories of North American Wild Fowl", published 1923, was that it was "quite common". He added, "many are shot for market". The enormity of the killing of birds in the 19th and early 20th century has largely been forgotten, as has the paucity of ornithological documentation of much of the continent, especially the far north. Bent also points out that Ross's were a lot "tamer" and less cautious than Snows, so would have been preferentially selected by market gunners. Ethical hunters really don't want to kill the numbers of Snows expected of them, since they can't eat that many birds and many have told me they won't kill what they don't need to eat. Our governments have done all they can to demonize these birds in the interest of "conservation" while, ironically, global climate change and loss of permafrost; the subsequent opening of the Northwest Passage and shipping of oil; the discovery of gold and diamonds and subsequent mining and the human population growth are real problems of our creation. Canada's response? According to The Toronto Star, January 2, 2013, one bill, C-38, "included more than $160 M in cuts to environmental spending, significantly impairing our ability to measure or mitigate our impact on Canada's wilderness and wildlife." We are the first country to withdraw from the Kyoto Accord and our greenhouse gas emissions are increasing. So what do we propose doing? Let's blame the Ross's Goose for "imperiling" the arctic, and kill 9 out of every ten. Bridget Stutchbury's book, "The Private Lives of Birds"
I’ve been reading a fascinating book by Bridget Stutchbury, The Private Lives of Birds: A Scientist Reveals the Intricacies of Avian Social Life. The book came out in 2010, but I didn’t read it until recently. Bridget Stutchbury is a well-known researcher at York University in Toronto. She specializes in the behavioral ecology of migratory songbirds, and achieved international fame when she placed geolocators—tiny tracking devices—on Purple Martins and Wood Thrushes during one breeding season and retrapped the birds the following spring. Geolocators are very tiny—one device and the harness used to hold it just above a bird’s rump weigh less than one gram. All a geolocator does is to record light levels and the time of day, and scientists must retrap a bird and remove the geolocator to retrieve any data, so the technology is useful only for species with high site fidelity, likely to be caught again the following year. Day-length varies with latitude and the time of solar noon varies with longitude. Data from a geolocator can reveal a bird’s entire migratory path and where it spent the winter accurately to about 125 miles for latitude. They provide much better resolution for longitude. Satellite tracking devices, used on loons, osprey, and other large birds, are significantly more precise but much too heavy for songbirds. Scientists don’t put any device weighing more than 4 percent of a bird’s body weight on it. Geolocators are tiny enough to weigh more like 2 percent of the weight of medium-sized songbirds such as thrushes and martins, and for now provide the best information we have for working out migration and wintering locations for Neotropical songbirds. This information is extremely useful not just for learning cool stuff about various birds, but also because in many species, local breeding populations may winter in different locations from other breeding populations of the same species. Some birds of conservation importance have robust populations in one state but may be declining dangerously in another. 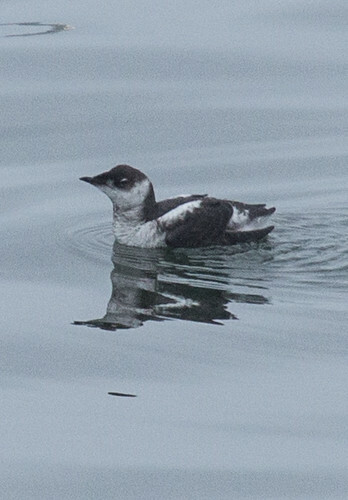 The problems causing a decline may be due to factors on the breeding grounds, but may also arise along the migration route or on the wintering grounds. Without knowing the migration pathways and wintering areas for different populations, we have no way of figuring out what is going wrong in one case but not the other, and have no chance to try to correct it. Bridget Stutchbury’s seminal research led to her 2007 book, The Silence of the Songbirds, subtitled "How we are losing the world’s songbirds and what we can do to save them," a wonderful book I devoured as soon as it came out. She also is co-author of a fantastic textbook, Behavioral Ecology of Tropical Birds, published in 2001. So her Private Lives of Birds is based on a vast body of research put together by her and her students through her career, using state-of-the-art technology and good old fashioned field work. 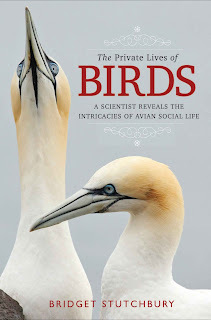 It’s a fun read, because she elegantly explains how she and other researchers figure out each piece of information even as she’s keeping her focus on exactly what the title says, the private lives of birds. For example, scientists banding nesting birds have long known that most songbirds are monogamous. So they were mystified when DNA analysis in more and more species established that a single brood of nestlings raised by supposedly monogamous birds all were likely to have the same mother but one or more of the chicks may have been fathered by one or more males other than the one raising them. 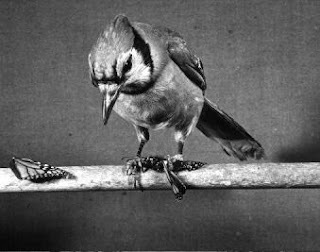 Stutchbury explains the advantages to birds of this “extra-pair paternity,” and explains what male birds do to try to keep their own mates faithful even as they try to mate with other females. Her writing is fun and accessible as well as authoritative. Here and there she or her editors made minor errors: one does not see large numbers of crocodiles on a Texas island. 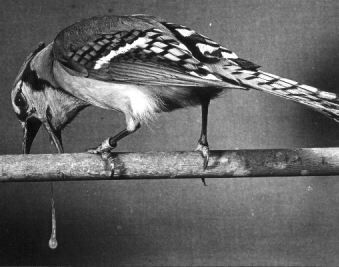 And sometimes I squirmed thinking about the individual birds that were experimented upon for her to make many of her discoveries. It sounds like she didn't "sacrifice" any birds, but trapping one of a mated pair and keeping it off territory for hours or days to see whether it could get the territory back was probably pretty unpleasant for both that bird and the one trying to take over the territory. Fortunately, she has a track record of using the valuable information from these experiments to promote bird conservation that ultimately can benefit those individual birds as well as larger populations. The book is chock full of valuable facts and insights, and is well worth reading for anyone who wants to understand more about the private lives of birds. The saying, “There’s nothing new under the sun” is as applicable in the world of bird books as anywhere else. Innovations are always been preceded by something that inspired them. The Golden field guide, published in 1966, was the first to include sonagrams—spectrographs of bird songs. 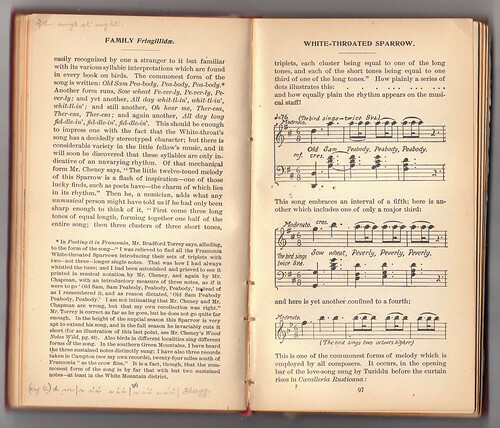 Yet in 1904, F. Schuyler Mathews’s Fieldbook of Wild Birds and Their Music included musical notations that were an early attempt to show pretty much the same thing—sound frequencies vs. time. 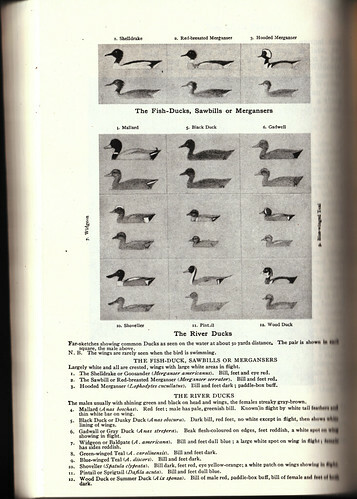 Roger Tory Peterson has always been credited for what is called the “Peterson system” of using patternistic drawings with little lines or arrows pointing to important field marks, which Peterson first used in his 1934 field guide. But Ernest Thompson Seton’s book, Two Little Savages, published in 1917, included drawings almost identical to some of Peterson’s, and Seton used letters the way Peterson used arrows to point out important features. Peterson did credit Seton’s inspiration in his foreword, but readers virtually always give credit not to the person who first came up with an innovation but with the first person to make it famous. As with everything, the best bird books are built on the firm foundation of earlier works. Isaac Newton famously said, “If I have seen further it is by standing on the shoulders of giants,” but even this wasn’t a new thought. A good 500 years earlier, in 1159, John of Salisbury wrote of an even earlier person, “Bernard of Chartres used to say that we are like dwarfs on the shoulders of giants, so that we can see more than they, and things at a greater distance, not by virtue of any sharpness of sight on our part, or any physical distinction, but because we are carried high and raised up by their giant size.” There is nothing new under the sun. When my kids were little, Russ and I got a series of wonderful magazine-style publications called Zoo Books. My favorite feature of the bird Zoo Books was a brightly colored, accurate drawing showing what that species looked like under its feathers, under its skin, and under its muscles. I have always been fascinated by the “inside story” of how bird bodies work. The Zoo Books drawings were based on specimens and scientific drawings, bringing what could have read in prose as dry anatomy to vivid life. So I was delighted when Princeton University Press sent me a copy of Katrina van Grouw’s new book, The Unfeathered Bird. As I said, the concept of depicting birds beneath their feathers is hardly new, but van Grouw’s execution is not just fresh—it’s hauntingly, astonishingly beautiful as well as an incalculably valuable contribution to science, education, and art. Far more comprehensively, in breadth and in depth, than Zoo Books, she has produced 585 drawings of 200 bird species. Van Grouw may be uniquely qualified to produce such a work. She’s former curator of the ornithological collections at London’s Natural History Museum and a taxidermist, giving her a first hand knowledge of the insides of bird bodies. As a bird bander, she has held in her hands living, breathing birds as well, watching and even feeling their bodies unfold into flight as she released them from her own hands. And she’s trained as a fine artist as well. Her illustrations of musculature and details of eyes, orbits, bills, ears, feet, skulls, wings, tongues, and bones are exquisitely rendered, but hardly dry anatomical renderings. In her hands, these specimens come to life, sometimes depicted with wickedly lovely humor. Her Red-and-green Macaw stares straight at the reader, stripped of its feathers and skin to show its musculature as it bites a pencil held to its beak with a beautifully detailed foot. Her Budgie is a skeleton perched on a birdcage dowel, its empty eye sockets staring into a mirror. She poses most of her birds in vivid action—her depiction of a Northern Gannet is an articulated skeleton in arrow-like diving posture. Her European Nightjar holds its capacious mouth wide open. When I was rehabbing, I specialized on a close relative, the Common Nighthawk, and for a time worked on a Ph.D. research project on nighthawk bodies. I was going to be Gary Duke’s first avian physiology Ph.D. candidate to complete my research without sacrificing a single bird, but I did dissect already-dead nighthawks, and even prepared a few articulated skeletons. The first time I did this, I was astonished at how scrawny a nighthawk’s body was beneath the feathers. Most of us readers will be astonished by a great many of the avian features revealed in this wonderful book. And the elegant prose puts each body in full evolutionary context. She writes, “The bugling call of a flock of cranes is among the most evocative sounds in all nature and is audible at a great distance. The comparison with the stirring fanfare of a bugle is no accident. The far-reaching cries of cranes are produced with a wind instrument of their own—an elongated windpipe or trachea—which coils in the same way as man-made musical instruments.” Her lovingly rendered Whooping Crane drawing shows the trachea coiled within the breastbone like a beautiful brass instrument. It’s only March, but I’ll be shocked as well as delighted if another book comes out that competes with The Unfeathered Bird as the top bird book of 2013. Interestingly, Katrina van Grauw also illustrated my favorite bird of 2012—the extraordinary Bird Sense: What It’s Like to Be a Bird, by Tim Birkhead. Bestselling bird books tend to be field guides to identification, but I am far more enamored with books that give real insights to how birds live and perceive their worlds. The Unfeathered Bird perfectly fits the bill. Here's an interesting interview with Katrina van Grouw for the Smithsonian.